Noted cutaway artist who produced some extremely fine art type cutaway drawings. He worked for commercial companies as well producing art for collectors. The remnants of his studio were sold by Christies in December 2002. 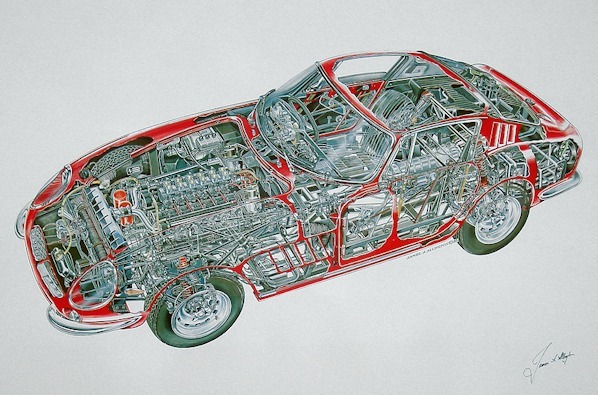 Cutaways are highly detailed with watercolour or airbrush colour.